oaaaal nossa muito legaaal :3 – cool!!!! Obrigado ! Yes, this is very cool !!! Oh, I love punk-inspired looks so much ! You’re so lucky to still have your childhood kilt ! Wearing my Jean Paul Gaultier kilt over skinny black trousers always makes me feel like Madonna, “Drowned World Tour” era ! 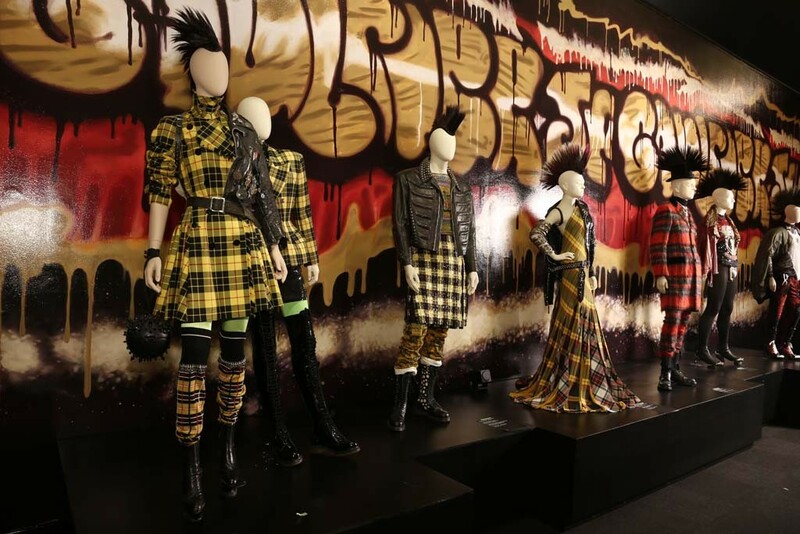 we love the punk qualities of tartan (we can just picture Gwen Stefani rocking these fab looks) and how amazing that these were displayed on a background of grafitti! you work for a fashion museum?? how cool!!! ok so this image is definitely Fashion Mayann perfection!! So, I’m very happy that, thanks to the Maison Bentley Style Blog Party, you can do this beautiful trip down to memory lane !